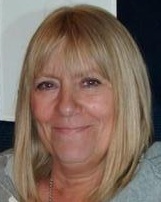 I am an experienced Counsellor based in the centre of Selby where I have been established for several years. I work with adults, children and young people. In addition I work for NHS York and Scarborough Trust and also manage a Counselling Charity in York. I am a warm and empathic Counsellor and I will ensure that I treat you as an individual and help you with whatever is troubling you. I have been a client too and know how important it is to find the Counsellor who is the right 'fit' for you. Choosing a Therapist can be difficult, take your time and read all the profiles well. Look for a therapist that offers something closest to what you feel you need. If you are struggling I will be happy to talk to you without any pressure or obligation; to help you figure out if this is the right time for you and if I am someone you feel you could work with.